Universal Studios has announced specialty foods and drinks inspired by the popular Netflix Stranger Things series for Halloween Horror Nights 2018 at their Hollywood and Orlando properties. Each park will offer a different menu for guests to indulge in at numerous park food locations, and will compliment the two parks' new Stranger Things mazes. · The Upside Down Burger: served “upside down,” this signature burger features spicy queso and Flamin’ Hot® Cheetos® served on a potato roll with lettuce, tomatoes and a side of Tater Tots. 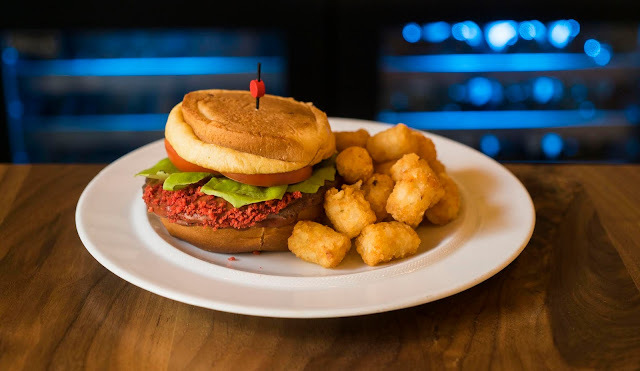 · Benny’s Burgers: This classic burger, aptly named after the show’s family-owned diner, features a juicy beef burger served on a potato roll and a side of Tater Tots®. · Benny’s Chicken & Waffle Sandwich: Drizzled with sage-maple aioli and topped with sweet and sour onions, lettuce and tomatoes, this grilled chicken sandwich is served on iconic Kellogg’s® Eggo® waffles with a side of Tater Tots. 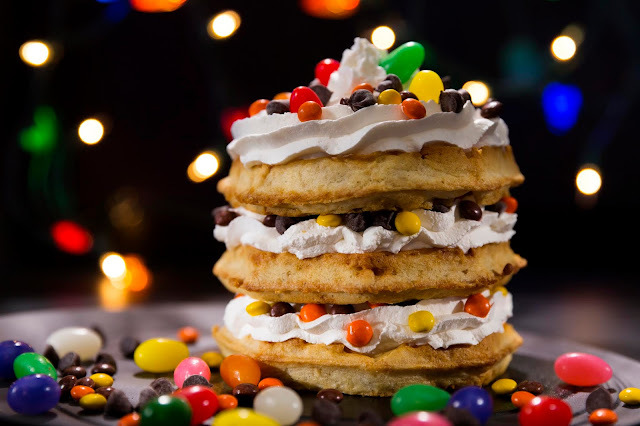 · Eleven’s Waffle Extravaganza: Inspired by the lead protagonist’s favorite food, this tasty treat mixes Reese’s Pieces, jelly beans, chocolate chips and whipped cream stacked high on three Kellogg’s Eggo waffles. · Demogorgon’s Totcho: A twist on the classic nacho, this dangerously delicious snack piles up Tater Tots, doused in spicy queso, chili, Flamin’ Hot Cheetos, sour cream and scallions. 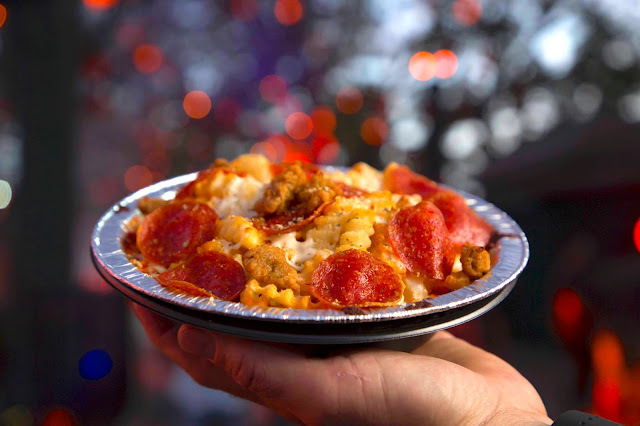 "Additional treats will be served throughout the theme park, including Mini Meatball Subs, Loaded Mac ‘n’ Cheese and Stir Fry Noodles as well as Voodoo Doughnuts." · Syrup & Waffles: Enjoy Eleven’s favorite food…beverage-style! 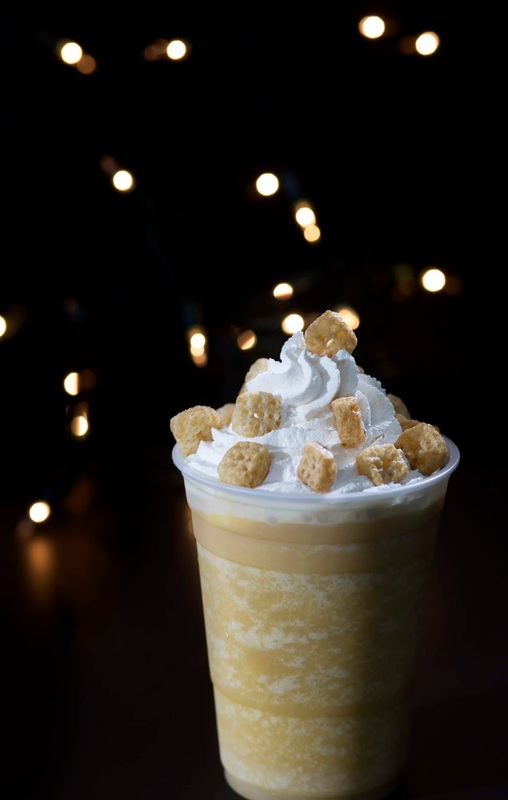 This non-alcoholic frozen drink is a delicious blend of syrup flavors with tiny waffles on top. · Waffles Galore! : All inspired by Eleven’s favorite food, guests can enjoy a variety of waffle treats at “Halloween Horror Nights,” including Fudge Dipped Waffle on a Stick topped with peanuts and sprinkles; Waffle Ice Cream Pocket Sundae which features two chocolate chip waffles stuffed with strawberry ice cream and topped with whipped cream, chocolate sauce, caramel sauce, sprinkles, chopped peanuts and a cherry; Triple Decker Extravaganza, which is Orlando’s version of Eleven’s Waffle Extravaganza – and more. · 11 Mini Donuts: These donuts are covered in powdered sugar or cinnamon and topped with red frosting – inspired by the nosebleed Eleven typically has when she uses her telekinesis powers. 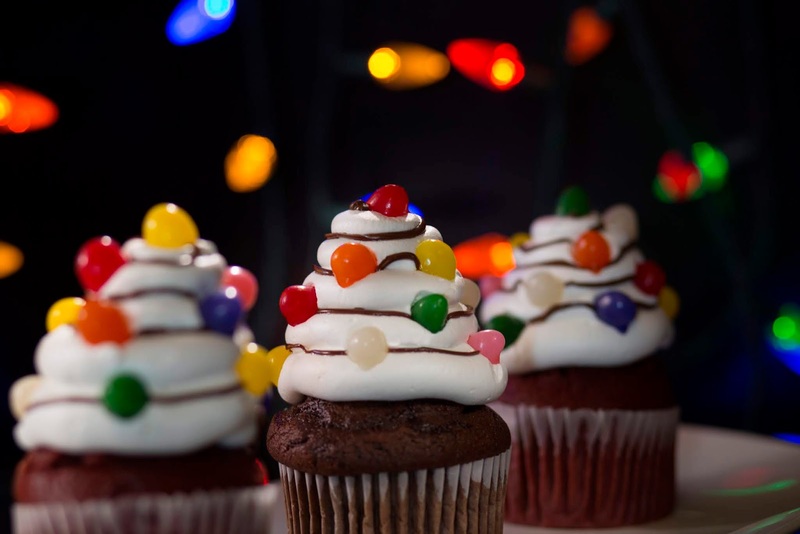 · Christmas Tree Light Cupcakes: Inspired by the iconic scene from ”Stranger Things” where Joyce uses Christmas lights to communicate with Will, guests can choose from chocolate or red velvet cupcakes, each topped with whipped cream frosting and covered with jelly beans to resemble the colorful lights. · Pepperoni & Sausage Pizza: Inspired by the slice of pizza Dustin offers his crush, Nancy, in the first episode of season one. · Benny’s Burgers: Universal Orlando will also feature a Benny’s Burgers food location, where guests can grab a variety of burgers, chicken sandwiches and more. "Universal Orlando’s Halloween Horror Nights will feature additional highly-themed food and beverages inspired by this year’s ‘80s theme and Halloween overall, including a unique Candy Corn frozen drink, a sweet and sour drink called “Gnarly Twist,” a special HHN Tombstone Doughnut at Voodoo Doughnut, and more."